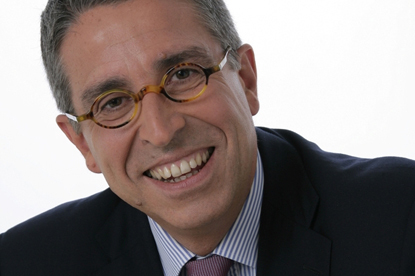 LONDON - The National Magazine Company has appointed Arnaud de Puyfontaine, the former president of Group Mondadori France, as its chief executive officer, replacing Duncan Edwards. Edwards was promoted to president and chief executive of Hearst Magazines International in January this year. De Puyfontaine will report to Edwards, who continues to serve as NatMag’s vice-chairman, and will begin in his new role by mid-May. In 2007, de Puyfontaine was named president of Group Mondadori France and chief executive of the group's digital operations. Last year, Nicolas Sarkozy, the president of France, appointed de Puyfontaine as president of the "Economic Committee" for a summit conference on the press industry to deal with media business issues including distribution, printing, financing, advertising and new media. Cathie Black, the president of Hearst Magazines, said: "NatMag is an important part of our overall magazine portfolio and we are thrilled to have someone with Arnaud’s expertise and knowledge assume the CEO role from Duncan, who has done a tremendous job over the years at building our business in the UK." NatMag made 15 per cent of its staff redundant in February in a bid to cut costs and to combat what it described as unprecedented challenges to the business.